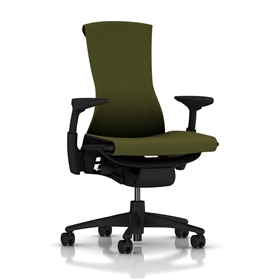 The fantastic Embody chair from Herman Miller finished in Rhythm Black fabric. 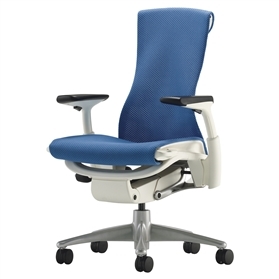 The chair features height adjustable arms, seat depth adjustment, height and width adjustable arms and the very clever Thoracic support back that adjusts to suit the curve of your spine for ultimate comfort. 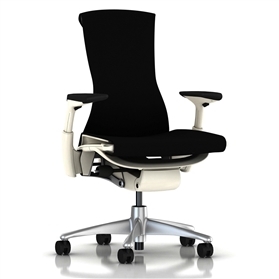 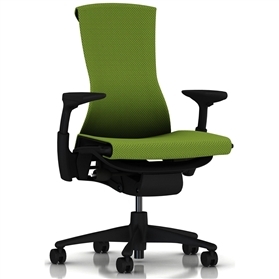 The chair comes with a manufacturers 12 Year Guarantee for 24 hour use - so its pretty strong!